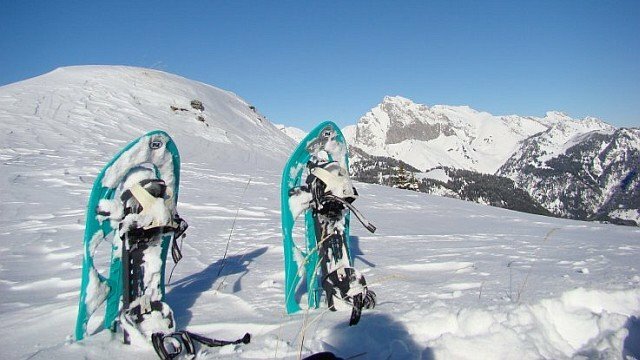 Ideal activity for non-skiers, it brings together children, parents and grandparents for a pleasant moment in the nature, to discover the local forests of larches and spruces and some of the 50 hamlets of Saint Foy’s region, among which the famous classified hamlet of Monal. All these hamlets are the vestiges of the Savoyard way of life of the last century. Within two hours, half day or day walks, we offer you an immersion into nature where animal footprints (mountain hare, deer, squirrel, ptarmigan, fox…) are so much evidence of the intense life that takes place in the mountains ! Don’t miss our igloo adventure – a fun après-ski activity for all the family ! Let our professional snowshoe leader guide you through the forest to visit our secluded igloo. There you can relax with an après-ski drink and local product tasting while the kids enjoy snacks, hot drink and games in the igloo. We then go for a short torchlit walk on snowshoe, where the magical atmosphere of stars above and snow-covered forest below will leave you all exhilarated and enchanted. DURING THE DAY : An ideal activity for skiers and non-skiers, an enjoyable moment discovering Sainte Foy’s surrounding forests and Hamlets. APRES-SKI AT THE IGLOO : After a short walk under the milky way we make a break at the igloo. While children are having a sonar and fun into the igloo, adults can relax with a well deserved savoyard aperitif. 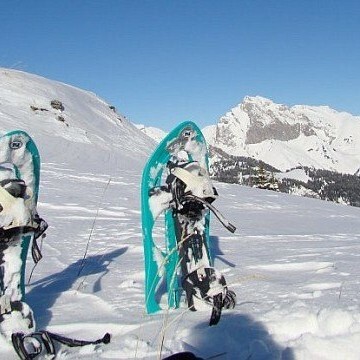 Snowshoes and walking poles (these can be rented from ZIG-ZAG our partner ski shops for around €10 per day). Sturdy boots (waterproof hillwalking boots or snowboard boots) also available at ZIG-ZAG if necessary. Waterproof and warm gloves (ski gloves ideal). Wool or fleece hat, covering the ears. Thick socks, ideally wool (ski socks ideal). Sun screen and lip protection (SPF 30 as a minimum). Rucksack (for food, water, spare warm layers, personal items). 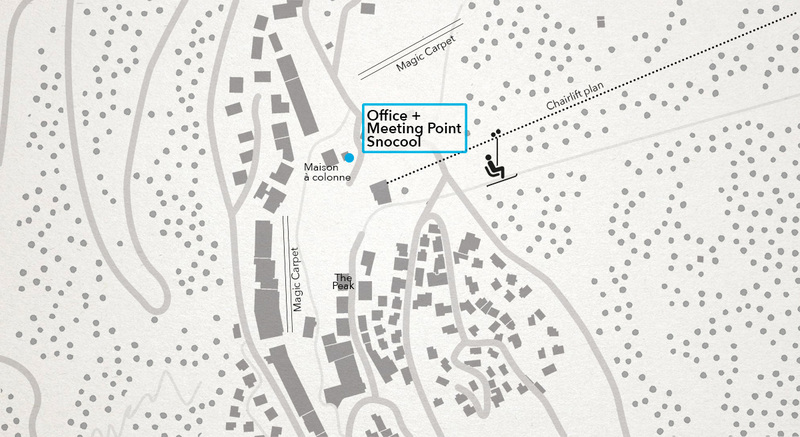 All snowshoes outings meet in front of the Snocool office about 5 minutes prior to the departure. Snocool office is located right next to the restaurant ‘La Maison à Colonnes’. If you are not sure how to find it, click on this map.